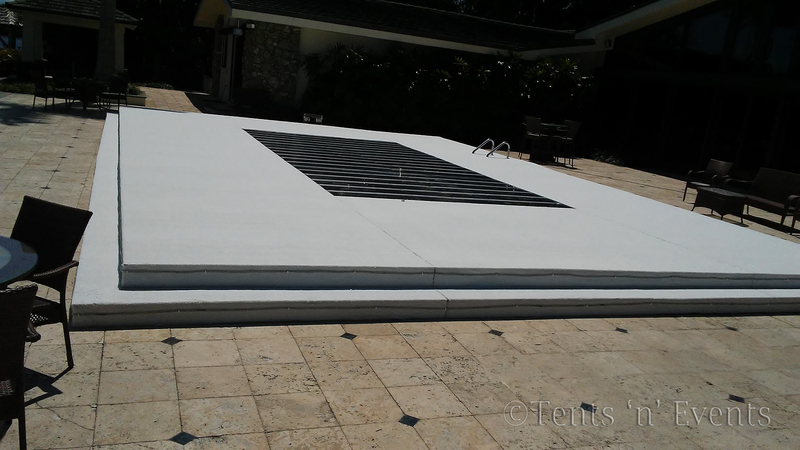 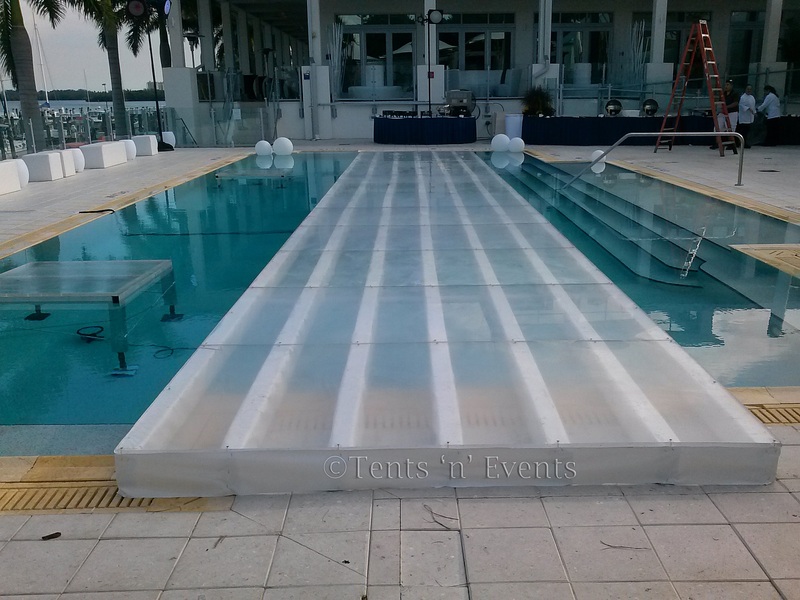 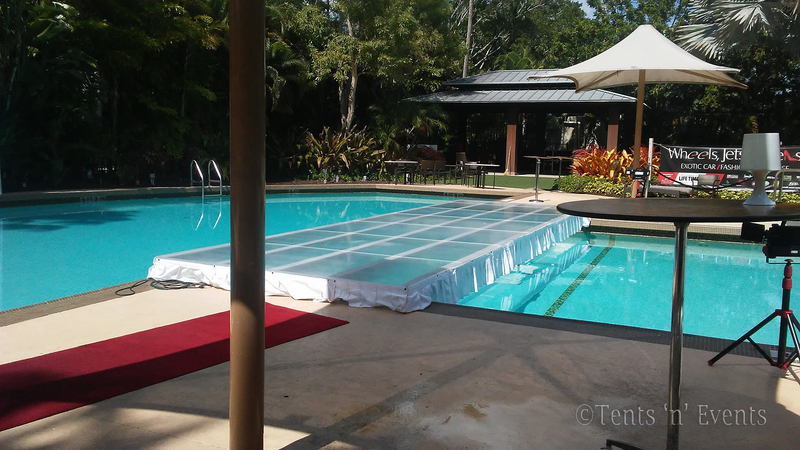 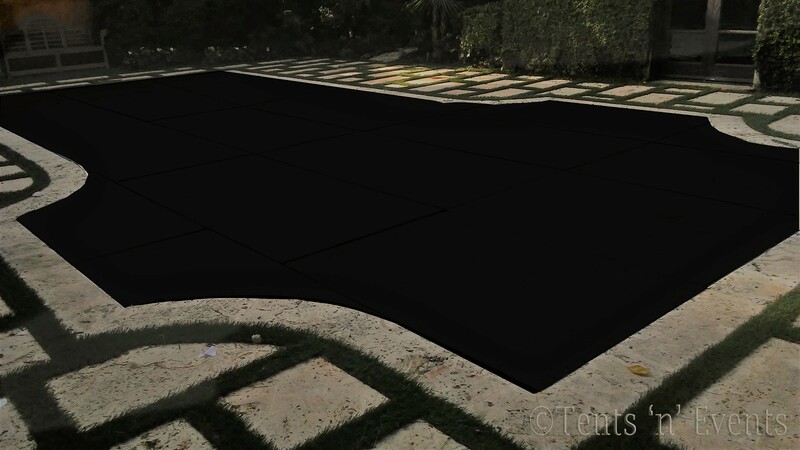 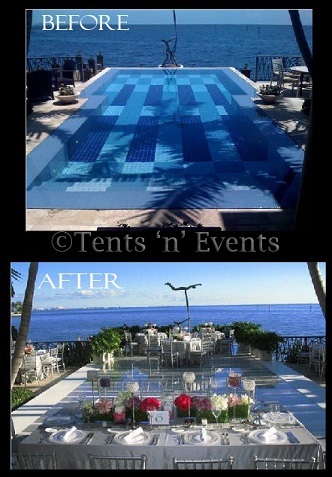 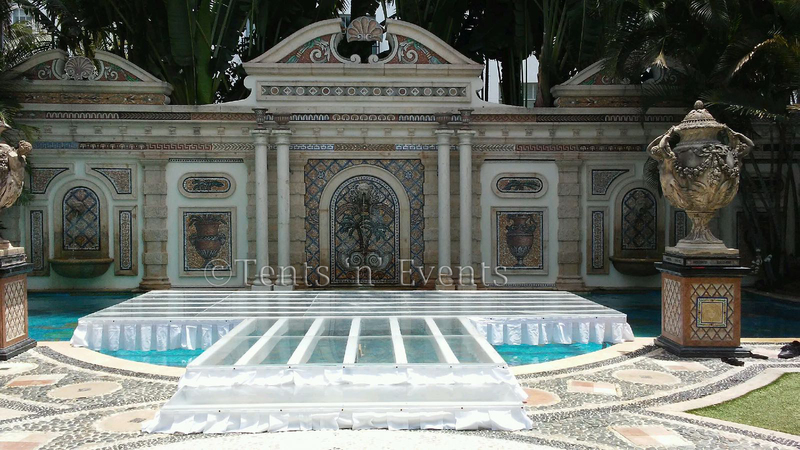 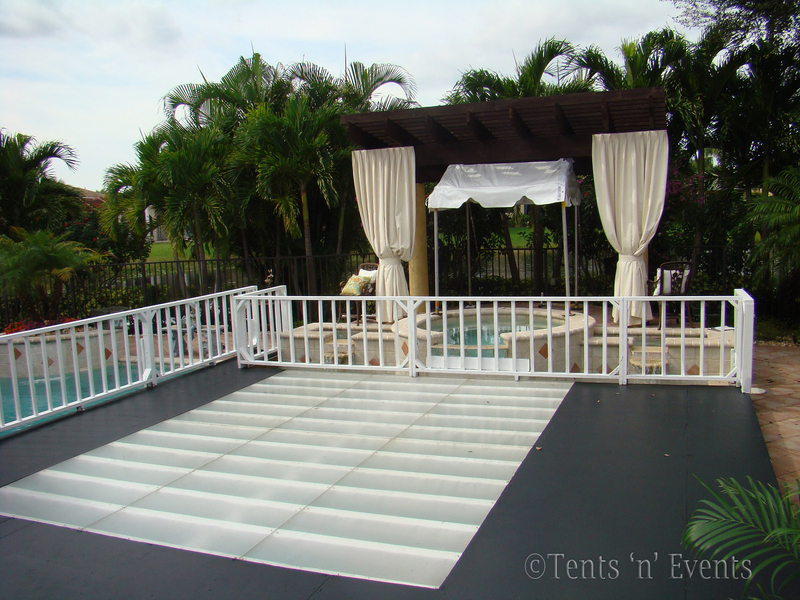 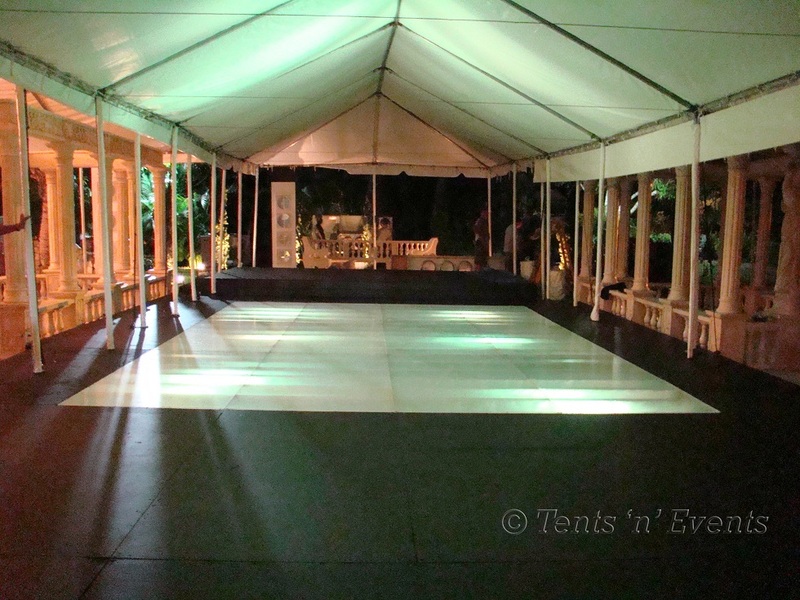 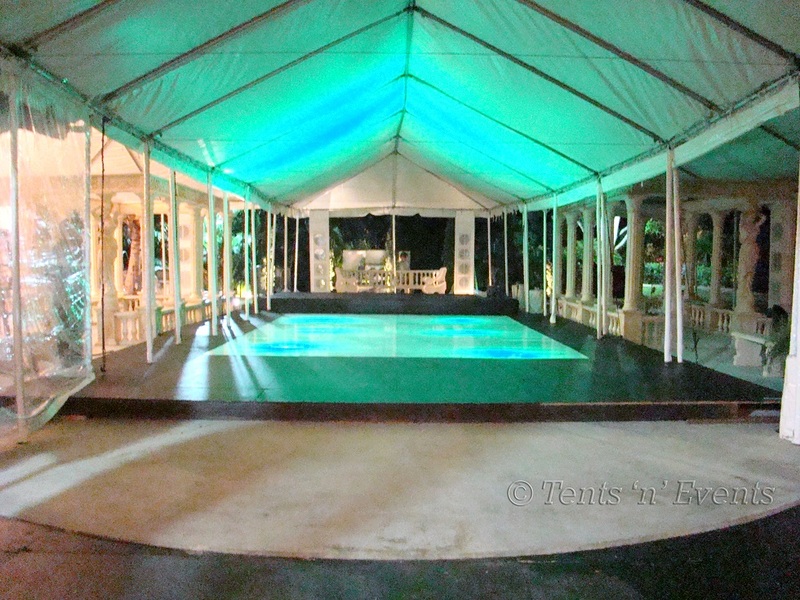 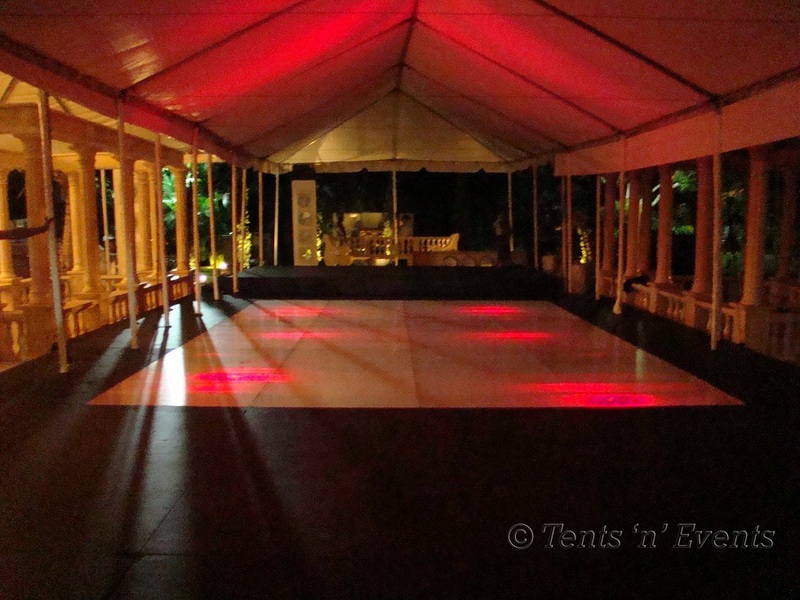 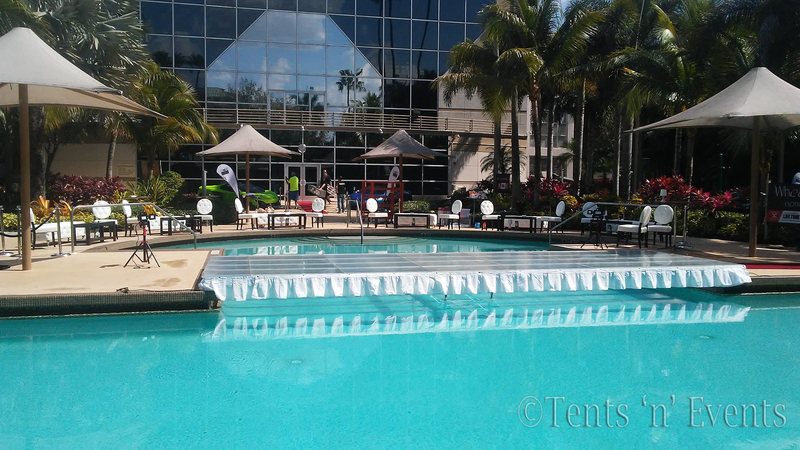 Tents ‘n’ Events is the leading specialist in custom pool covers of any size or shape. 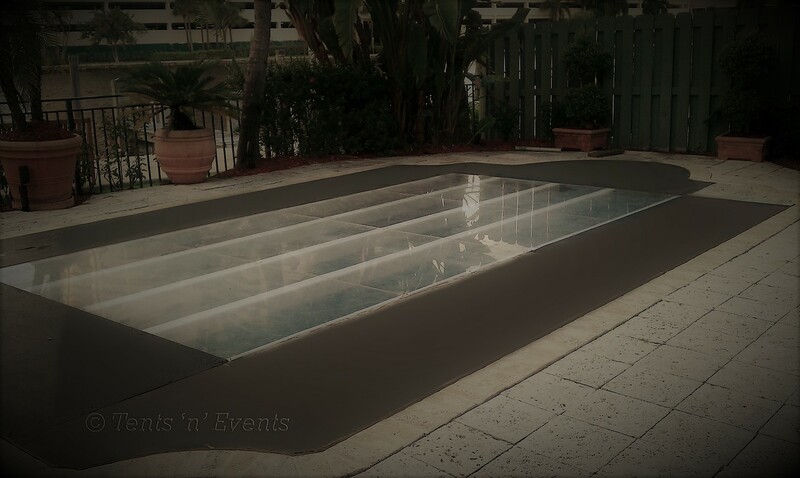 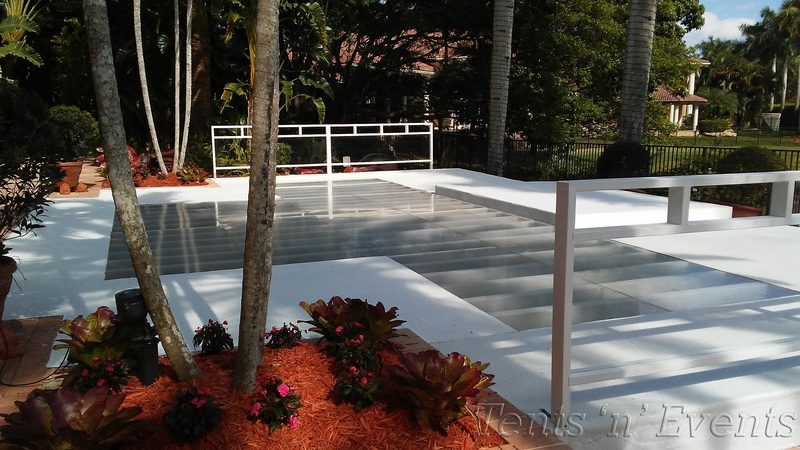 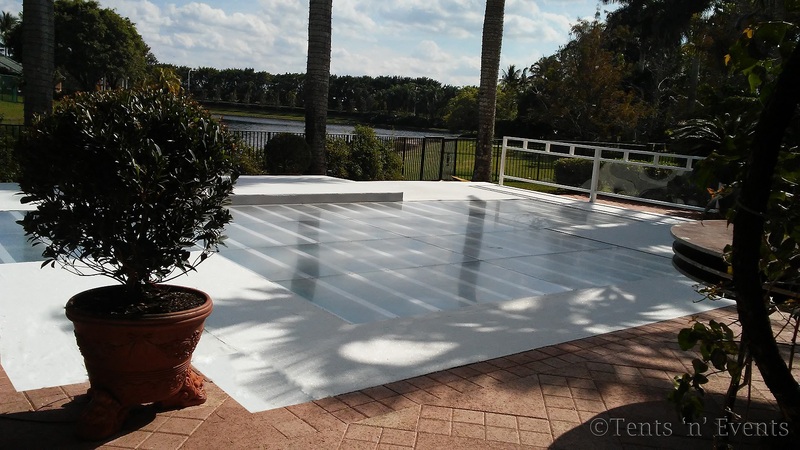 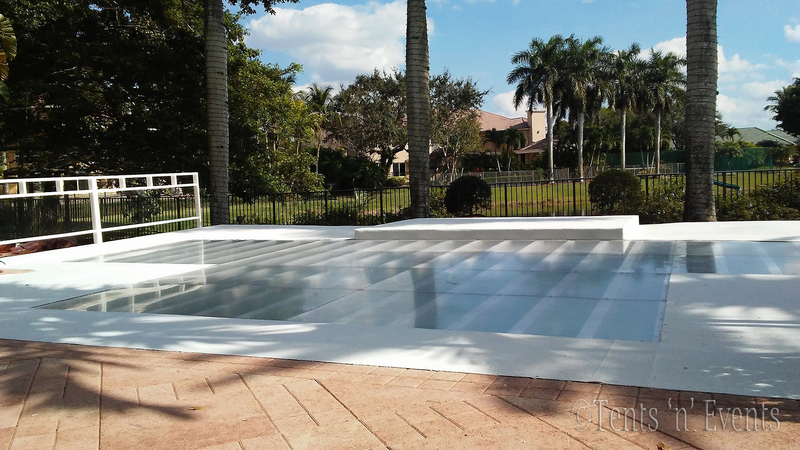 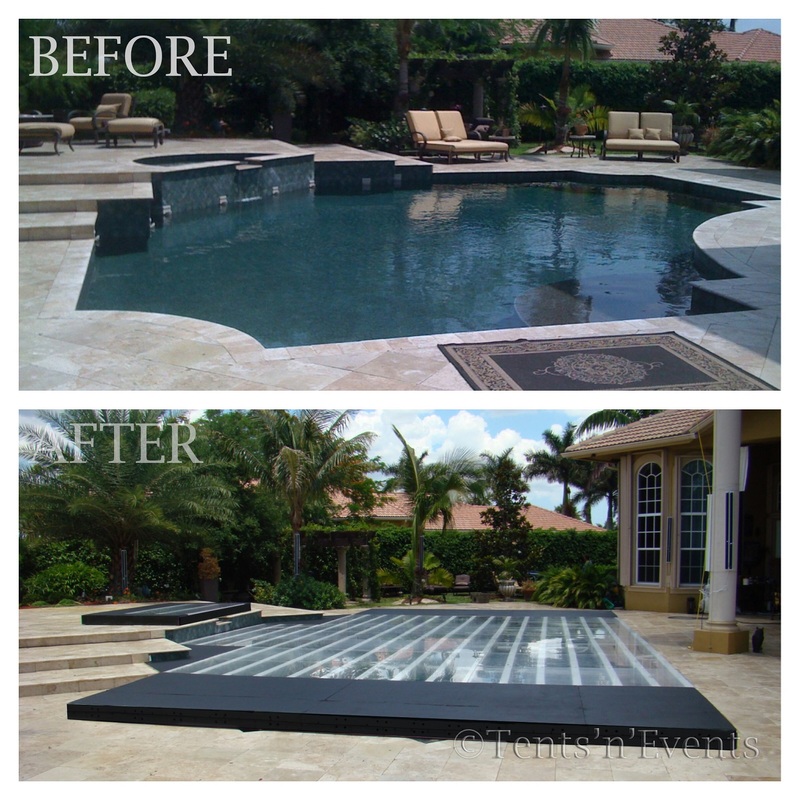 Our custom pool covers allow you to optimize your party area by transforming a space for swimming into a dining or dancing celebration. 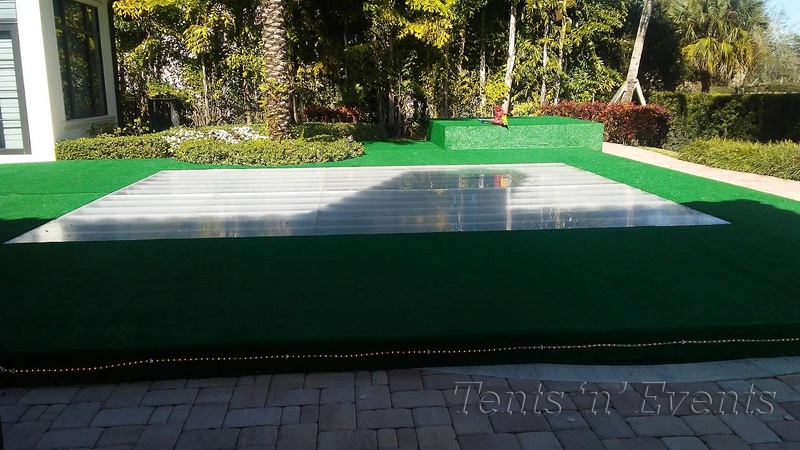 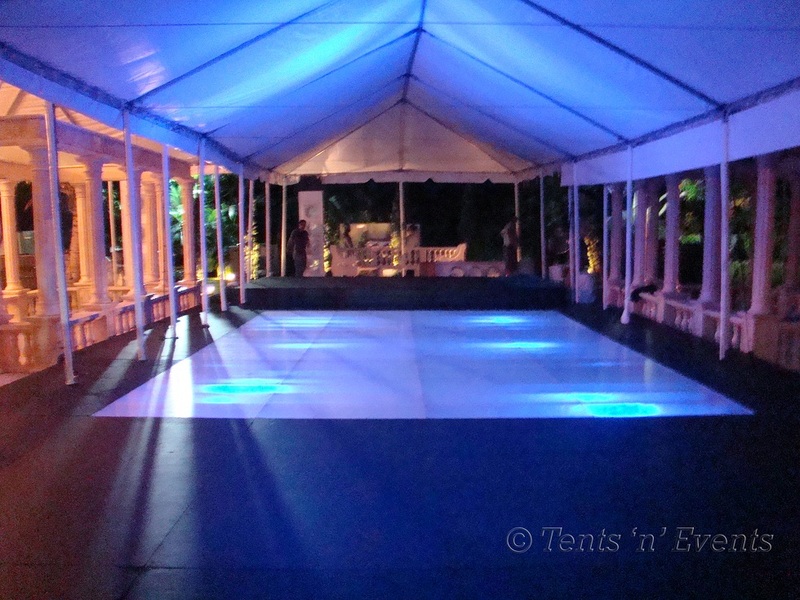 We offer carpeted covers to lend that ballroom feel, clear covers allowing your pool to illuminate your event, or simple plywood of your choice of color. 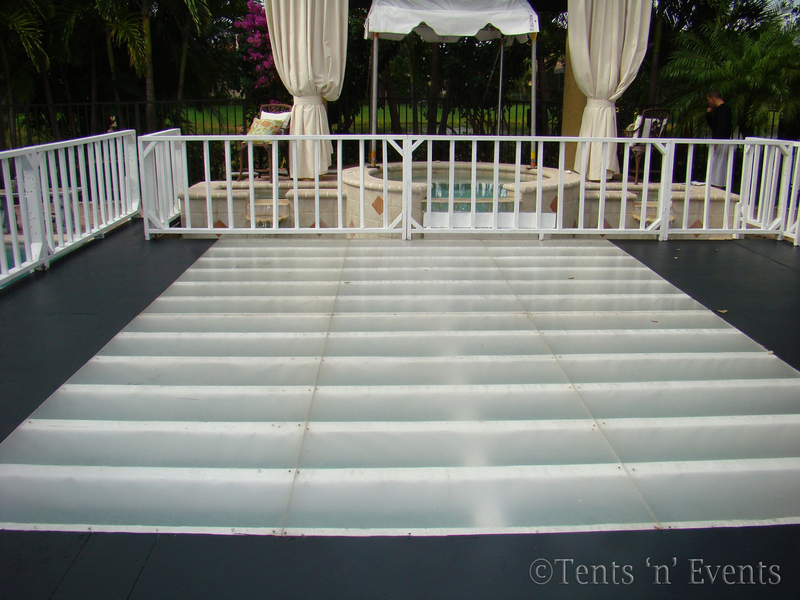 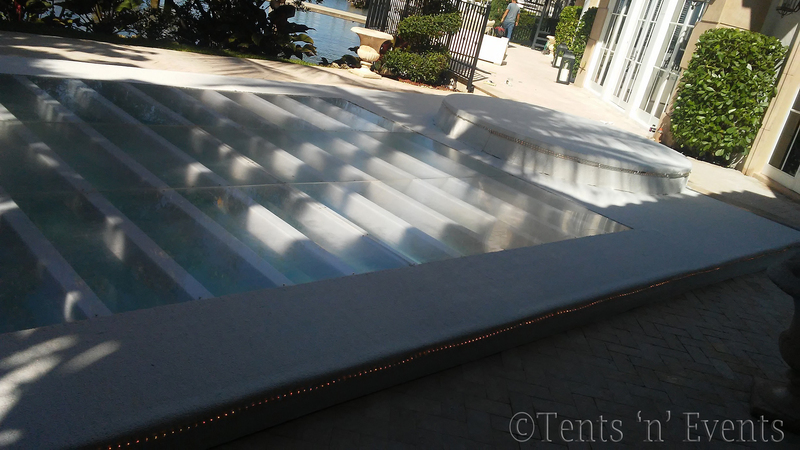 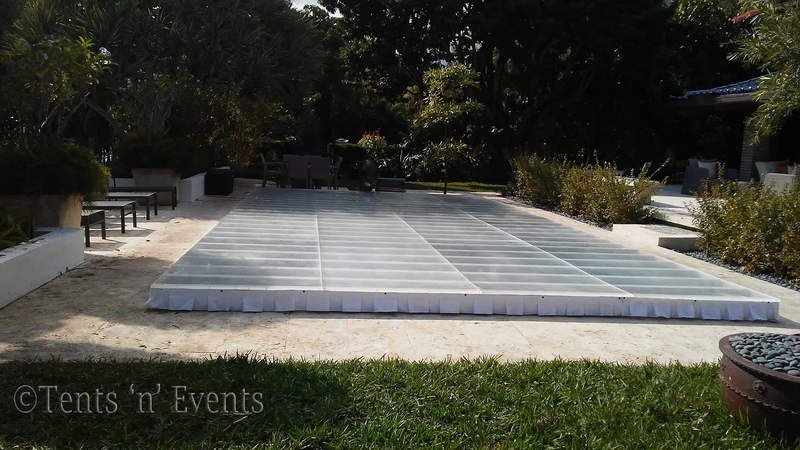 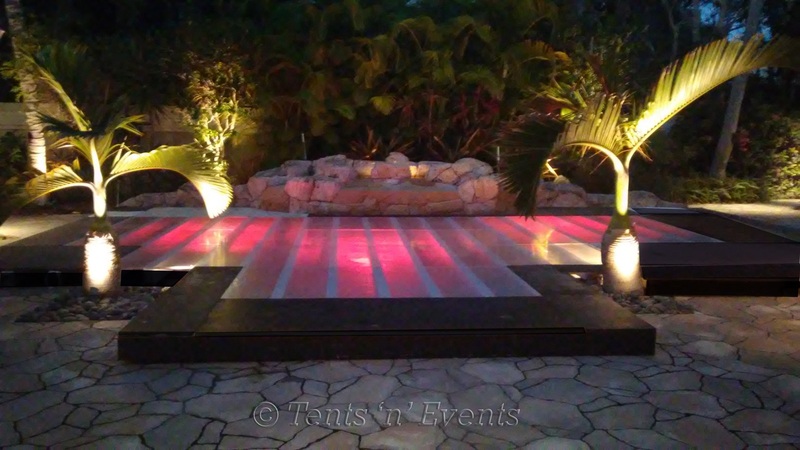 For a colorful display, we also offer LED underwater lighting for clear pool covers. 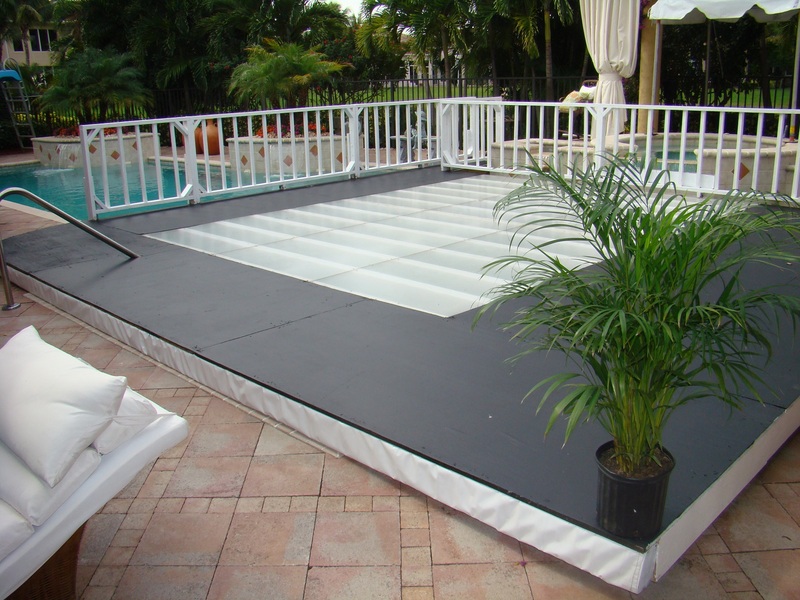 We also specialize and provide custom partial covers, runways and bridges. 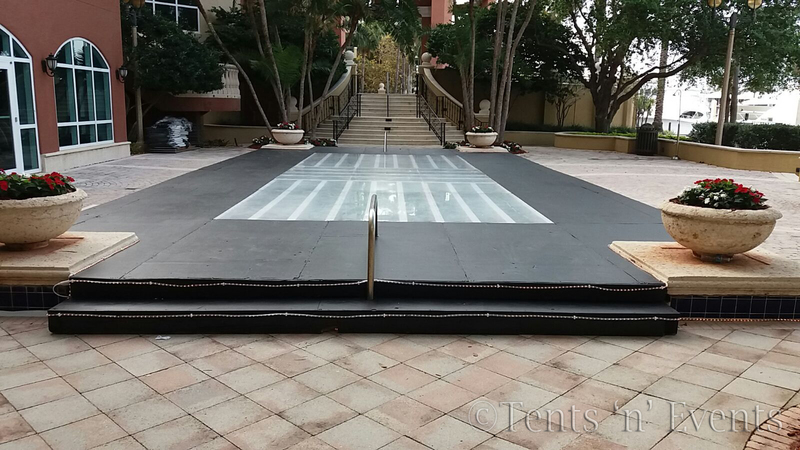 Our custom bridges are a wonderful way for the guest(s) of honor to have a perfect entrance or to allow all areas of your special event to be easily accessible.